One of the greatest thrills you’ll ever experience in life will be riding a proper roller-coaster. We’ve got two such rides locally, the reptilian-themed Anaconda and Cobra roller-coasters at either end of the country. If you’re stuck in the middle however, then your best bet to enjoy some proper topsy-turvy fun has most likely come from digital experiences such as RollerCoaster Tycoon. 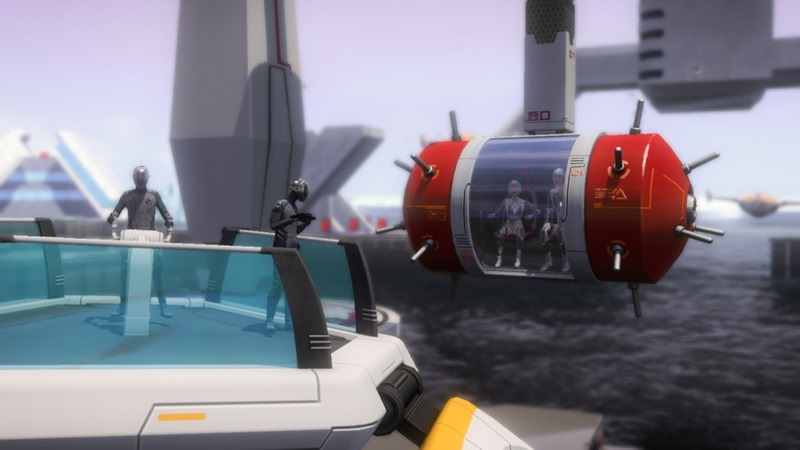 Screamride looked very much like a spiritual successor to that forgotten genre when it was revealed last year at E3. But it’s anything but that. And that ain’t bad at all, as the game certainly does have some charm. Hell, it even has a story that sets the entire game up. It’s the future or something, humanity is bored with its current dystopia and the authorities want to change that public attitude with amusement rides that will have the population screaming their worries away. That’s where you come into the picture. As a manager/designer/thrillseeker, it’s up to you to squeeze the maximum amount of screams out of your hard-hatted volunteers, flinging them through buildings and designing rides with enough turns to make a veteran astronaut upchuck his breakfast. Thankfully, the volunteers are clearly pumped full of the Captain America super-soldier serum, as no amount of damage is ever reflected on their ragdoll bodies or their enthusiasm. It’s a simple enough premise spread across three distinct game modes, that at the very least, is a cathartic afternoon experience. The first such mode is the simplest. ScreamRider has you piloting a roller-coaster cart in an on-rails experience that makes Fable: The Journey look like a GTA game in comparison. It’s all about hugging a corner, taking a turn at the right speed and knowing when a boost will give you more power as opposed to it angering the laws of gravity enough to result in you losing several of your volunteers. It’s a solid mode, but one wherein the Xbox Kinect could have added plenty to the experience, sort of like an updated version of Kinect Sports. It’s a missed opportunity, but it still has its moments. The middle mode however, may just be the most fun. Demolition lives up to its name, as you fling orbs filled with volunteers at buildings that are standing in the way of theme park progress. It’s pretty much Angry Birds but with a deeper sense of physics, scale and destruction. As you progress, the game mode unlocks more pods, from explosive delivery devices through to containers which can eject into several more rubble-inducing parts. 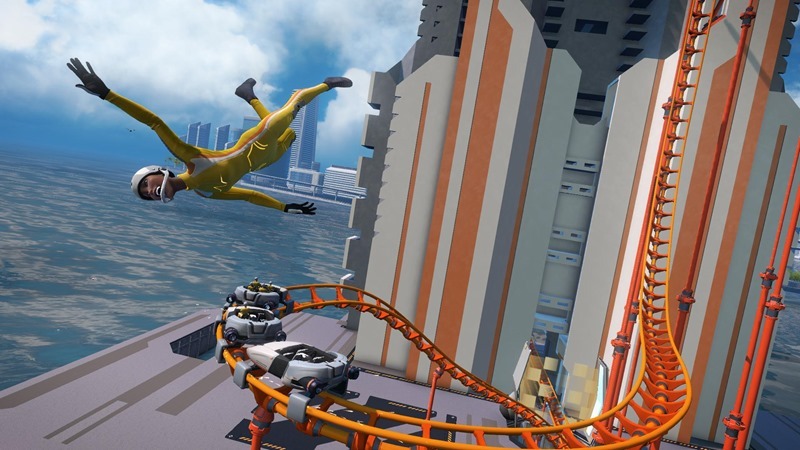 It’s the highlight of Screamride, as timing your delivery just right, steering it towards the support beams of a building and attempting to hit an extra goal or two, is pretty addictive. Lastly, there’s Engineer. 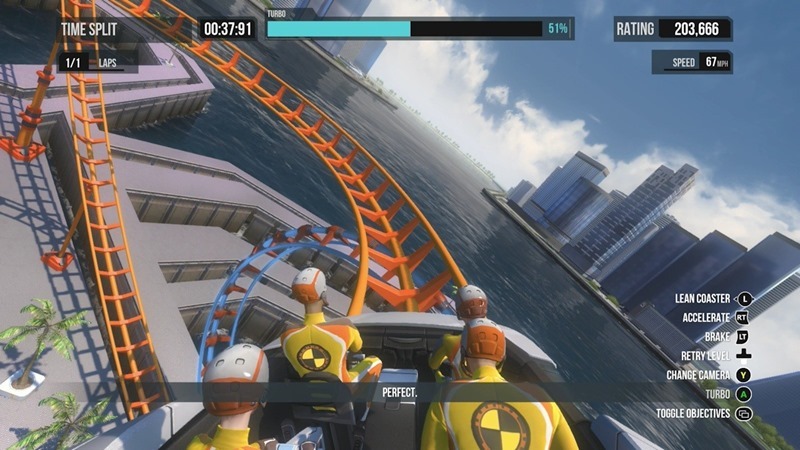 More of a soft tutorial for the sandbox mode in the game, players need to set up rollercoaster rides here, adding their tight turns, steep drops and loops while also maintaining equilibrium and meeting several other challenges. 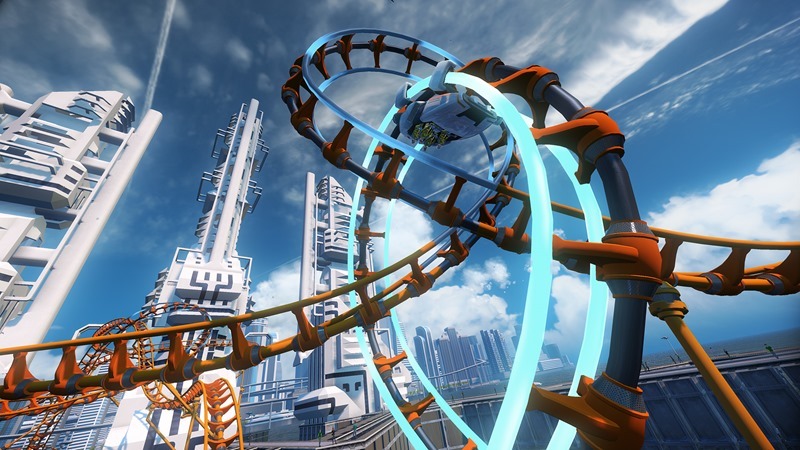 It’s the sandbox mode that will sell this particular facet of Screamride however. Sandbox mode is home to various custom creations, from the developers through to the community. 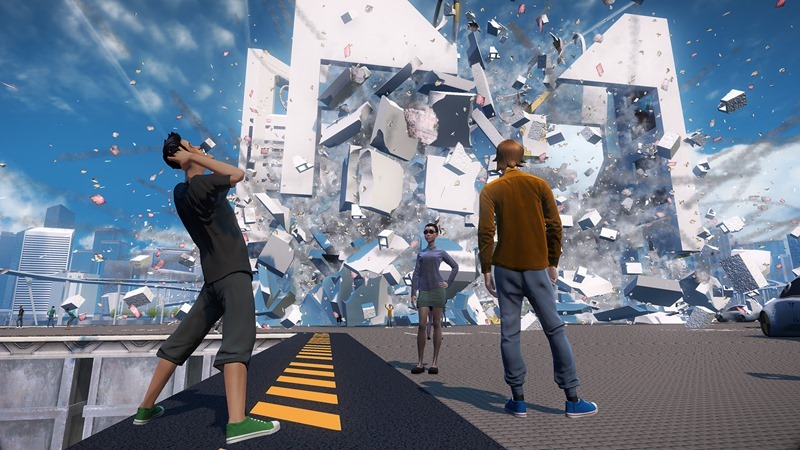 Provided the community stays interactive in this theme-parked take on Trials Fusion, Screamride could have some long legs thanks to some genuinely brilliant custom creations. The mode does need some more work however, as the creation process can feel stifling as it just begs to be allowed to create bigger, grander designs. 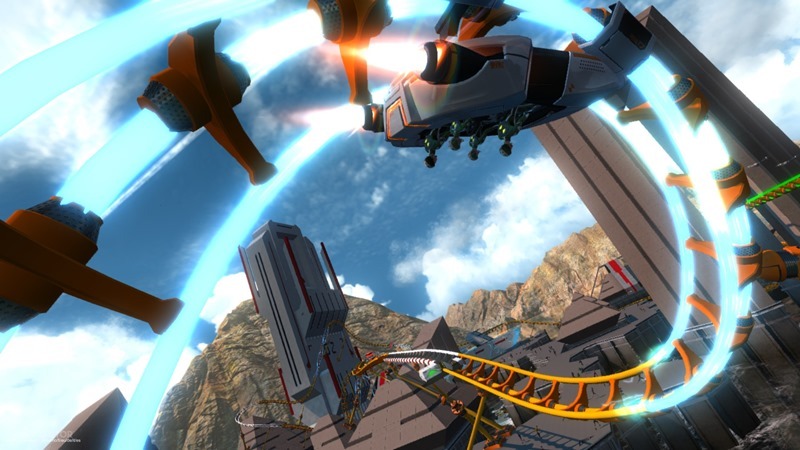 Screamride has a limited appeal, but as a quick romp it works just fine. The three core modes are solid, the challenges are numerous and the overall design is quirky enough to make it fun. Whether you’re looking to be creative or destructive, it has content to caper to those tastes. Now it just needs to get even bigger in order to truly realise its potential. 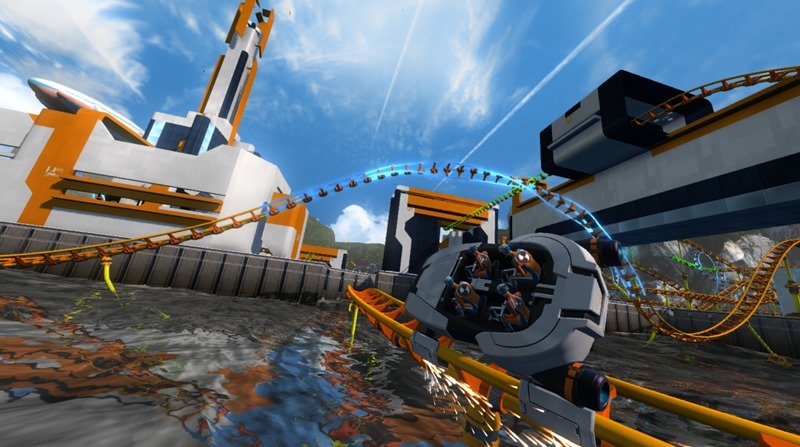 Surprisingly deep enough, flashy and cathartic, Screamride is its own roller-coaster beast, even if it is uneven at times. But thrill-seeking fans will be in for a treat with a game that will have your buttocks firmly clenched with vertigo-inducing action. Previous article Go behind the scenes with AVENGERS: AGE OF ULTRON!